Did you know Wawa started as a dairy? 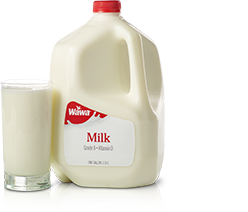 The Wawa Dairy has provided the finest milk, cream, and other dairy products to homes and businesses in the region for more than 100 years. We carry a full line of delicious and nutritious milk and creamer varieties for your family to enjoy. Our dairy products are made with rBST-free milk. 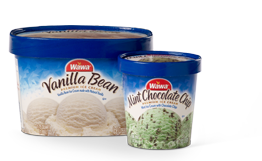 From classic Vanilla or Chocolate to decadent Chocolate Peanut Butter Cup or Mint Chocolate Chip, our premium ice cream is available in many varieties and made with only the best ingredients.